Indonesia is a country with many citizens, and where the interest of those citizens in insurance is very low. There are many people there, especially those in the lower-middle classes, who do not have insurance. By 30 September 2017, investment reached 505.57 trillion rupiahs – a 22.42 per cent increase compared with December 2016 (which totalled 412.98 trillion rupiahs). By 30 September 2017, insurance and reinsurance premium income reached 183.45 trillion rupiahs (71.1 per cent of the projection set by the OJK for the period up to 31 December 2017). The OJK is an independent institution, free from interference from other parties, which has the function, duty and authority to regulate, supervise, inspect and investigate, as given in Article 1 point 1 of Indonesian Act No. 21 of 2011 on the Financial Services Authority (Indonesian Act 21/2011). When running its business, an insurance company must conform with Indonesian Act No. 40 of 2014 on Insurance (Indonesian Act 40/2014) and Financial Services Authority Regulation (OJK Regulation) No. 69/POJK05/2016 (OJK Regulation 69/2016) on the implementation of insurance companies, shariah insurance companies, reinsurance companies, and shariah reinsurance companies. Indonesian Act 40/2014 applies to all types of insurance, including reinsurance and shariah insurance. The OJK also has the authority to approve new insurance products to be issued in the market. Therefore, all insurance products marketed in Indonesia are in compliance with OJK standards. Indeed, Article 28 paragraph 1 of OJK Regulation No. 23/POJK05/2015 on Insurance Products and Marketing Insurance Products (OJK Regulation 23/2015) states that: 'Any new insurance product to be marketed shall be reported to OJK to obtain a letter of approval or letter of record'. Insurance is an agreement, in which the insuring party commits to the insured party by obtaining premium, to pay compensation for a loss due to a loss, damage or un-obtained profit, which may be suffered due to an uncertain event. Where agreements made under Indonesian law adhere to the consensual principle, the agreement exists at the time the agreement is closed or one second after the deal is reached. Regarding the parties in the insurance agreement, the legal system in Indonesia recognises the existence of three parties: the insurer, the insured and the underwriter. Insurance regulations are set forth in the Indonesian Civil Code, Indonesian Commercial Code, Indonesian Act 21/2011, and OJK Regulation No 1/POJK07/2013 on Consumer Protection of the Financial Services Sector (OJK Regulation 1/2013). The Indonesian Civil Code is a legal basis for all agreements, including insurance agreements. there must be a permitted cause. 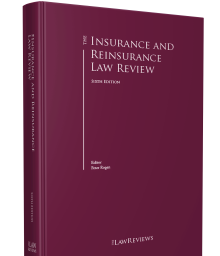 Articles 246–302 of the Indonesian Commercial Code regulate insurance agreements and insurance that is provided therein. As stipulated in Article 31 of Indonesian Act 21/2011 (see above), OJK Regulation 1/2013 was established to regulate the rights and obligations of business actors (insurers) and consumers (the insured), and the prohibitions of business actors (insurers) in marketing their products. Furthermore, there are several principles that must be obeyed by every person who makes insurance coverage (see below). The principles of insurance used in legal provisions in Indonesia and recognised worldwide are as follows. Every incorrect or false notice, or every concealment of facts known by the Insured party, even though made in good faith, the nature of which is such that the agreement concerned would not have been made, or would not have been made under the same conditions if the insuring party learnt the factual situation of all these matters, shall render the insurance concerned void. The principle of indemnity is the balance between the amount of compensation and the loss actually suffered by the insured. The insuring party having paid compensation for losses in respect of insured goods shall obtain all rights possessed by the insured party towards third parties in respect of such losses; and the insured party concerned shall be responsible for all actions which may potentially damage the rights of the insuring party towards such third parties. If in one and the same policy, even though on different days by several insuring parties an amount exceeding the actual value is covered, then the parties concerned shall jointly, proportionately to the amounts respectively signed by them, be only liable for the actual insured value. This provision shall also be applicable if several insurances are concluded for the same goods on the same date. The insurance policy is a certificate of insurance agreement or other document equivalent to an insurance agreement, as well as other documents that constitute an inseparable part of the insurance agreement, which is made in writing and contains an agreement between the Insurer and the policyholder. the language referred to in the event of a dispute or difference of opinion, for the insurance policy, printed in two or more languages. The insurance policy must include the fact that there are rights and obligations for the insurer and the insured, with regard to premiums and claims. The premium is a right for the insurer and an obligation for the insured. Premium is amount of money specified by the insurer and approved by the policyholder to be paid under an insurance agreement or a set amount of money under the provisions of the laws and regulations underlying the compulsory insurance programme to benefit. Insurance is an agreement between two parties, namely the insurance company and the policyholder, which became the basis for the acceptance of premiums by insurance companies in exchange for provide payment based on the death of the insured or a payment based on the life of the insured with a predetermined amount of benefits and/or based on the results of fund management. The legal basis for the implementation of Life Insurance in Indonesia is regulated in Articles 302–308 of the Indonesian Commercial Code. In addition to the parties mentioned above (insurers, insured and underwriters), there is an additional party in life insurance: the beneficiary. If a dispute claim is submitted by the insured, the first step is to refer to the insurance policy.7 One of the standard contents of an insurance policy is to contain the settlement of the dispute (choice of forum) as intended in Article 11n of OJK Regulation 23/2015: '[a] clause of dispute settlement which among others contains settlement mechanism in court and outside court and chosen place of dispute settlement'. An insurance policy is the deed of agreement between the insured and the insurers that arranges everything, including the case of dispute and how the dispute was resolved. However, in the Indonesian Law System a pacta sunt servanda principle of civil law applies, as intended in Article 1338 paragraph 1 of the Indonesian Civil Code: 'All valid agreements apply to the individuals who have concluded them as law.' Therefore, the implementation of all insurance claims, up to dispute settlement, must follow the provisions contained in the insurance policy, Indonesian law or other regulations. Complaint is the expression of consumer dissatisfaction caused by the loss or potential of financial loss to the consumer which is allegedly occurred by mistake or negligence of financial services institution in the placement of fund activity by consumer at financial service institution and/or utilisation of service and/or product of financial services institution. However, if a complaint has been issued and one of the party is dissatisfied with the result, then the complaint turns into a dispute and the parties can resolve the dispute through external dispute resolution. Dispute is a conflict between the consumer and the financial services institution in the placement of funds by the consumer at the financial services institution and/or the utilisation of services and/or products of the financial services institution after going through the process of completion of complaint by the financial services institution. If disputes regarding the total sum insured cannot be resolved by internal dispute resolution, then the insured can apply for the dispute to be resolved by external dispute resolution. Although the BMAI is insurance dispute settlement institution, not all insurance disputes can be solved through the BMAI. the dispute has never been brought to court or arbitration and is not being investigated by the authorities. The insurance dispute settlement is conducted by the BMAI in three stages: the mediation stage, the adjudication stage and the arbitration stage. The settlement of an insurance claims dispute received by the BMAI will be handled by a mediator, who will strive for the insured and the insurer to reach an agreement to settle the dispute amicably and reasonably for both parties. The applicant must fill out and submit the dispute resolution application form (FPPS) provided by BMAI as the basis of the BMAI to investigate a dispute, in accordance with Appendix – 04 of this Decree. [I]f the dispute can be completed through mediation, [the] mediator shall record in writing all the settlement requirements reached by the parties, then the parties shall sign the settlement agreement, in accordance with Appendix – 08 of this Decree. If the dispute is resolved by mediation, then the mediator must record all the terms of the settlement reached by the parties, then the parties will sign the dispute resolution agreement. However, if the dispute cannot be resolved through mediation, then the parties may proceed to the next stage of adjudication. Before the adjudication process begins, the parties will sign an adjudication agreement provided by the BMAI, which contains the terms and conditions of the adjudication procedure. If the dispute cannot be settled through mediation, the mediator will ask the applicant whether the applicant wishes to proceed to the adjudication and if the applicant agrees, the mediator requests the applicant to complete the dispute resolution application form to adjudication (FPPSAj) (Attachment – 09 of This Decree) to the chairman of BMAI for approval. disputes that have taken the mediation of BMAI but the parties have failed to reach the settlement agreement, and have not pursued other legal remedies outside the BMAI. In the settlement of insurance disputes the adjudication council consists of three people. Article 1 paragraph 2 of BMAI Decree No. 009/SK-BMAI/112014 on Regulation and Procedure of Adjudication of Indonesian Meditation and Arbitration Agency (BMAI Decree 009/2014) states that the 'adjudicator is an individual who meets the requirements as an adjudicator who is appointed by the board of BMAI according to regulations and procedures of adjudication of BMAI'. However, with the authority of the adjudicator council and with the consent of the parties, the duration of investigation can be extended for maximum of 30 days. Disputes that cannot be completed in mediation or adjudication and whose value of disputes exceeds the deferred range of indemnification amount shall be processed by arbitration. The arbitration award shall be final and binding on the parties and may not be requested by appeal, cassation or other legal action. For dispute settlement through the BMAI, the mediation and adjudication are free. At the arbitration stage, the cost incurred depends on the amount of the disputed claim. Consumers may submit a complaint indicating a dispute between the financial services business actors and the customer to the Financial Services Authority, in this case a member of the board of commissioners in charge of education and consumer protection. the filing of the settlement of the complaint shall not exceed 60 weekdays from the date of the letter of completion of the complaint delivered by the business service to the consumers (Article 41g of OJK Regulation 1/2013). The granting of complaint settlement facility carried out by the Financial Services Authority as intended to in Article 41 is an effort to bring consumers and financial services business actors to review the issues fundamentally in order to obtain a settlement agreement. This is because, in the end, the dispute arising between the insurer and the insured can only be solved by agreement between the insured and the insurer. (1) The implementation of the facilitation process until the signing of the deed of agreement is conducted within 30 week days since the consumer and financial services business actors signed a facilitation agreement as referred to in Article 44. (2) The duration of the facilitation process as referred to in paragraph (1) may be extended to the next 30 (thirty) working days based on the agreement made by the consumer and financial services business actors. Civil lawsuit, which scope of the district court's jurisdiction, must be filled with a letter of request signed by the plaintiff or by his/her authority according to the Article 123, to the head of the district court in the area of the defendant's residence or if not known where he/she lives, his/her actual domicile. If the suit is complete, then the court, through its bailiff, will summon the parties and start the trial. Three judges, consisting of one chairman and two judge members are in charge of examining and deciding cases. The dispute resolution process through trials takes more time than other dispute resolution alternatives. If the judges have decided the case and the defeated party is dissatisfied, then the party can apply a regular legal remedy (appeal, cassation or opposition) or an extraordinary legal remedy (civil request or third-party request). Arbitration agreement is an agreement in the form of an arbitration clause contained in a written agreement made by the parties before a dispute arises, or a separate arbitration agreement made by the parties after the dispute arises. In case the parties do not implement the arbitration award voluntarily, the award shall be implemented based on the chairman of district court order upon the request of one of the parties. From January to October 2017, the BMAI handled 60 disputes from hundreds of dispute reports that were entered between the insurer and the insured. The number of cases handled in 2017 was more than in the previous year, where the results of mediation and adjudication handled by the BMAI amounted to 36 cases. The increase in cases is based on the fact that many of the insured who have an insurance dispute chose to use the path of litigation to resolve their disputes. The claim is the point when the insurer decides if there is good faith and whether the insurance company will pay compensation to the customer in the case of loss or accident. Therefore, the claim process from the start to the payment of a claim is clear proof of what the insurance company promised to its customers.23 A high claim ratio shows that the performance of Indonesian insurance companies is good. It fosters public trust for insurance. This can be proven based on a higher life insurance premium income compared to the previous year. In addition to the good performance of the insurance industry, legal certainty will also foster the trust of the people regarding insurance. Indonesia has OJK Regulation 1/2013 as a regulation that protects the rights of the insured as consumers of the financial services sector (issued by the OJK as an institution with a supervisory function in insurance industry). Furthermore, the OJK also issued OJK Regulation 23/2015, that regulates the standard contents of the insurance policy, showing, basically, that the insurance policy is an agreement or engagement between the insurer and the insured, in which the rights and obligations of each party have been regulated.25 In the end, all actions including payment of claims (total sum insured) and dispute resolution refer to the policy. 1 Aldi Andhika Jusuf and Amir Rahmat Akbar Pane are managing partners and Rico Ricardo is an associate at AP Advocates. 2 S Edi Santosa. Penyelesaian Sengketa Klaim Tetap Mengacu Pada Ketentuan Polis. No. 323. December 2017, page 10. 3 Abdulkadir Muhammad. Hukum Asuransi Indonesia. PT. Citra Aditya Bakti. Bandung. 2002, page 133. 4 Mucharor Djalil. Dadang Sukresna 'Klaim Merupakan Prestasi Perusahaan Asuransi'. Media Asuransi. No. 323. December 2017, page 16. 5 HMN Purwosutjipto, SH. Pengertian Pokok Hukum Dagang 'Jilid 6 Hukum Perdagangan'. Djambatan. Jakarta. 1992, page 9. 6 Aldi Andhika Jusuf. Theses: Asuransi Jiwa Unit Link Ditinjau Dari Undang-Undang Nomor 2 Tahun 1992 Tentang Usaha Perasuransian. Faculty of Law, Padjadjaran University. Bandung. 2008, page 32. 7 S Edi Santosa. Kornelius Simanjuntak 'Langkah Pertama Kembali ke Polis'. Media Asuransi. No. 323. December 2017, page 17. 8 Abdulkadir Muhammad. Hukum Asuransi Indonesia. PT Citra Aditya Bakti. Bandung. 2011, page 53. 9 Badan Mediasi Asuransi Indonesia. Peraturan dan Prosedur Ajudikasi BMAI. Badan Mediasi Asuransi. Jakarta. 2014, page 14. 11 Panji Adhisetiawan. Theses: Analisa Yuridis Terhadap Penyelesaian Sengketa Klaim Asuransi Diamond Investa Antara PT Asuransi Jiwa Bakrie Dengan Tertanggung. Faculty of Law, Indonesia University. Depok. 2010, page 54. 12 Nanik Sri Handayani. Penyelesaian Klaim Pada Asuransi Kendaraan Bermotor Melalui Badan Mediasi Asuransi Indonesia. Lex Jurnalica Vol. 6 No. 3. August 2009, page 151. 13 S Edi Santosa. Sengketa Klaim Asuransi Hendaknya diselesaikan di BMAI. Media Asuransi. No. 323. December 2017, page 14. 15 S Edi Santosa. Penyelesaian Sengketa Klaim Tetap Mengacu Pada Ketentuan Polis. Media Asuransi. No. 323. December 2017, page 11. 16 Yusuf Wahyu Wibowo. Undergraduate Theses: Alternatif Penyelesaian Sengketa Perbankan Melalui Lembaga Alternatif Penyelesaian Perbankan Indonesia (LAPSI). Faculty of Law, Lampung University. Lampung. 2017, page 29. 17 Gatot Soemartono. Arbitrase dan Mediasi di Indonesia. PT Gramedia Pustaka Utama. Jakarta. 2006, page 74. 19 Irvan Rahardjo. Industri Asuransi: Mediasi, Arbitrase & Skema Perlindungan Asuransi. Accessed from http://kalimantan.bisnis.com/read/20171219/251/719394/industri-asuransi-mediasi-arbitrase-skema-perlindungan-asuransi on 4 February 2018. 22 Umi Kulsum. Klaim dan Manfaat Asuransi Jiwa Susut di September. Accessed from http://keuangan.kontan.co.id/news/klaim-dan-manfaat-asuransi-jiwa-susut-di-september on 4 February 2018. 23 Mucharor Djalil. Bernadus P Wanandi 'Klaim Sebagai the Point of Truth'. Media Asuransi. No. 323. December 2017, page 21. 24 AAJI. Industri Asuransi Jiwa: Perluasan Distibusi Dongkrak Premi. Accessed at http://aaji.or.id/Berita/aaji-daily-news---27-september-2017 on 4 February 2018. 25 S Edi Santosa. Penyelesaian Sengketa Klaim Tetap Mengacu Pada Ketentuan Polis. Media Asuransi. No. 323. December 2017, page 11.